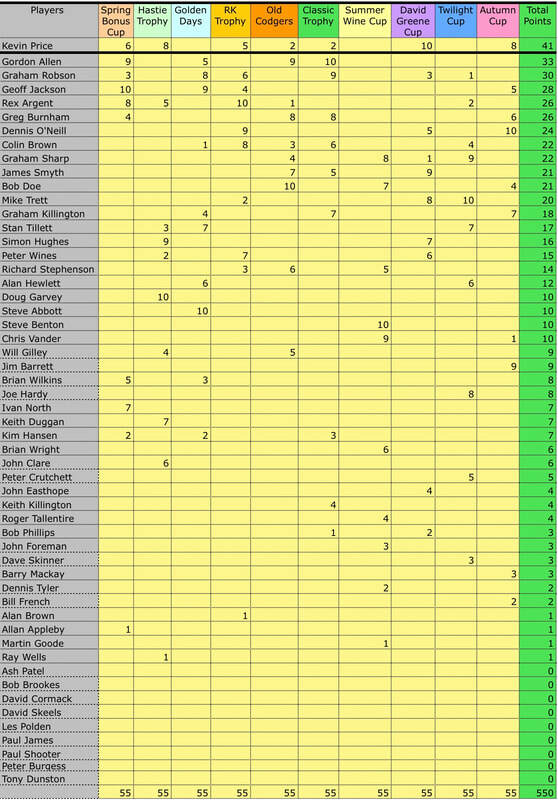 The Seniors' 'Golfer of the Year' is determined by the player who gains the most points from the 10 golfer of the year competitions held each year. 10 points are allocated to the winner of each of the 10 competitions, with 2nd place getting 9 points etc down to 1 point for 10th place. 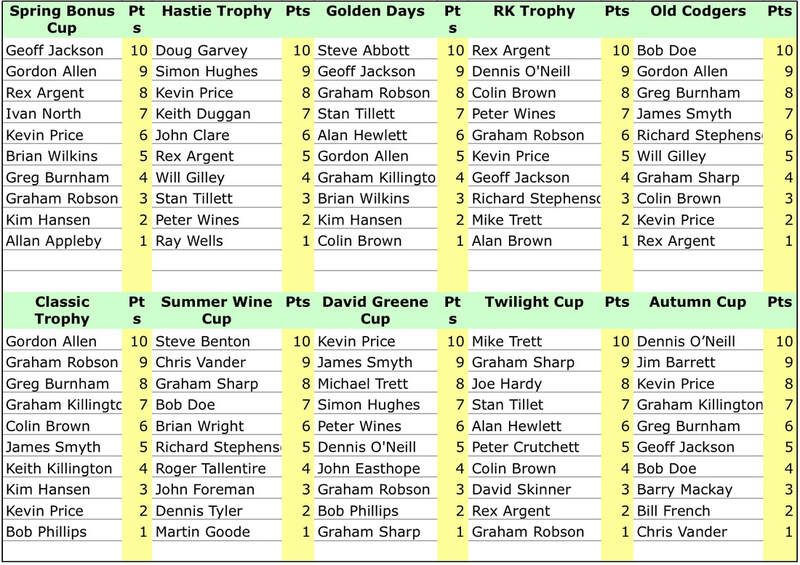 Final Outcome - Congratulations to Kevin Price whose points in the last competition of the year earned him 1st place as the GoY.